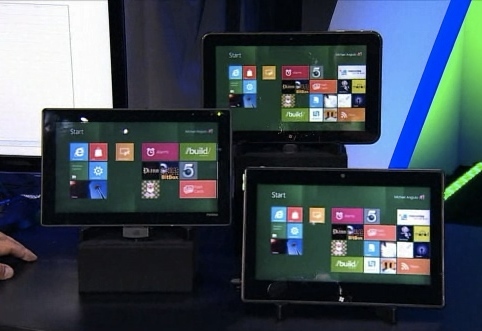 Microsoft has finally launched the Windows 8 platform at its BUILD event, and why is that making us happy? Well the new platform has been launched with a whole new range of tablets and makes us want to own one. The new OS now offers the Metro UI (Tile interface) and it was showcased on tablets powered by ARM, Qualcomm and even an NVIDIA quad-core chipset. SWEET ! Microsoft is also kind enough to hand out 5000 of Samsung’s Windows 8 powered tablets at the event which includes 4GB RAM, a 64GB SD card, a microSD card slot, HDMI-out, NFC support, Ethernet , etc. Now there is no information as to when we can see the tablets in the market, but we’ll keep an eye out on them.